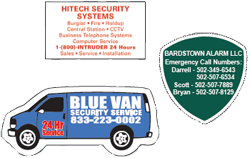 From durable security labels to business card magnets and everything in between, DMJ Systems is ready to serve your security company’s every advertising need. 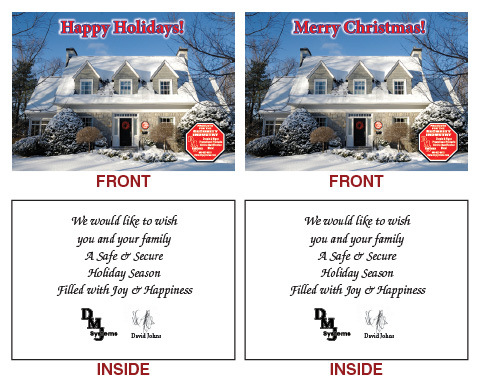 Use for promotional giveaways at trade shows, greeting cards for all occasions. 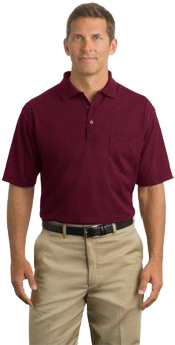 Hats, shirts, and technician uniforms for your employees. Gift baskets and candy for the holidays and goody bags to say thank you. Premium greeting cards have opened new avenues. Flamboyant images and enthralling letterings on the custom greeting cards make them noteworthy. 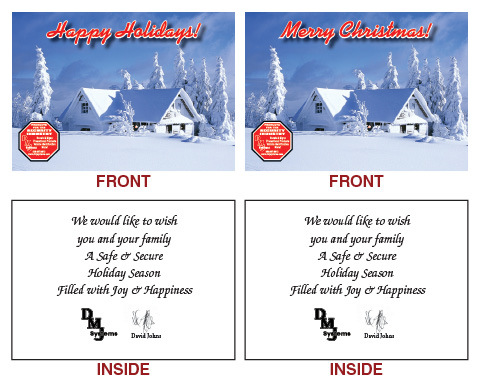 You can insightfully bolster your business idea through greeting card printing. Not only being the insignia of goodwill these cards play a significant role in brand recall. 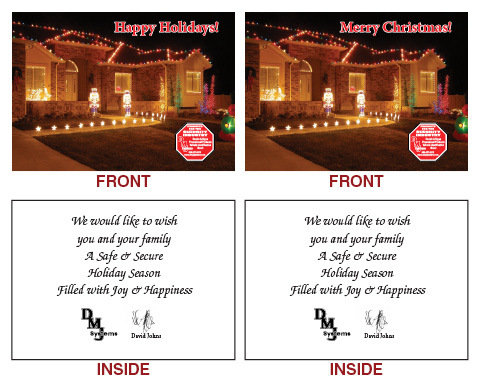 Many businesses print their signature greeting cards for Christmas. Give a tint of warmth with your genial greeting cards! 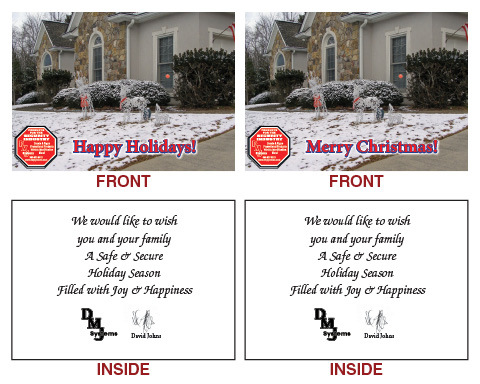 From durable security labels to business card magnets and everything in between, DMJ Systems is ready to serve your security company’s every advertising need. Gifts from the giant food gift companies are usually so emblazoned with THEIR logo, that the recipient has a hard time figuring who sent the gift. WAS IT FROM YOU, OR WAS IT FROM THE GIANT FOOD GIFT COMPANY? 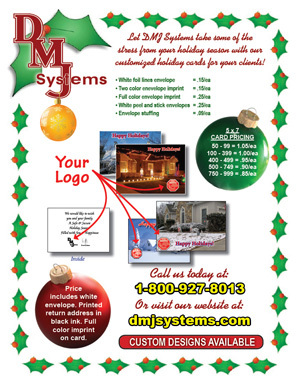 YOUR logo is the first thing recipients will see when they open your gift. FOR OVER TWENTY-FIVE YEARS WE HAVE PROVIDED HIGH QUALITY PRINTED PRODUCTS EXCLUSIVELY TO SECURITY COMPANIES. WE CAN NOW DO THE SAME WITH FOOD GIFTS.  We can help you create custom screen printed or embroidered items for your SECURITY COMPANY. If you have a custom logo you want embroidered, we can digitize it for you. If you need help creating artwork, we are here for you! If it’s t-shirts, hats, ball caps, coats, jackets, sweatshirts, golf shirts, bags, towels, sport shirts, or other “wearables” that you need, we are the source. Whether you are local or anywhere in the United States, we would be happy to provide a free estimate.